How did Ockeghem spell his name? Spring training is over and New York and Boston are gearing up to make beautiful music together. Boston’s Blue Heron and New York’s Parthenia will present a program of songs for spring from 16th-century France and nearby, featuring music by Claude Le Jeune, André Pevernage, Eustache Du Caurroy, Jan Pieterszoon Sweelinck and others. This closing concert of Blue Heron’s 14th season presents an exciting collaboration between Blue Heron and the viol consort Parthenia from New York City. The two ensembles first worked together with the wind band Piffaro in a pair of concerts in Philadelphia in 2010 and have been planning a second adventure since then. For this occasion, the four players of Parthenia will be joined by Boston’s Emily Walhout (viol) and New York’s Hank Heijink (lute), as well as Scott Metcalfe on violin; Blue Heron will field a team of six singers. 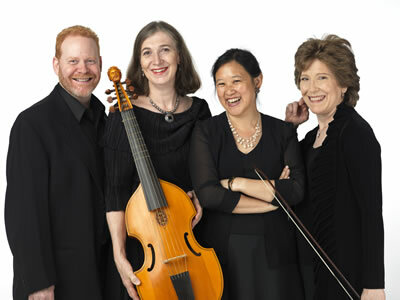 Blue Heron is engaged in the exploration of Renaissance and medieval vocal music. Putting the study of original sources in the service of persuasive, vivid and exciting concert presentations, the ensemble is now established as the finest of its type in North America. Led by Scott Metcalfe, Blue Heron offers a home subscription series in Harvard Square, in Cambridge, Massachusetts, and a catalog of eight exceptional recordings is available on the Blue Heron label, one of which garnered the group the 2018 Gramophone Classical Music Award for Early Music, thereby making Blue Heron the first group from outside Europe to receive the award. Touring engagements have taken the group across the United States as well as to Canada and England. Blue Heron is Renaissance vocal music for the 21st century. Site and contents copyright © 2007-2019 Blue Heron Renaissance Choir, Inc.